All available formulations conform to APHA, Standard Methods for the Examination of Dairy Products. 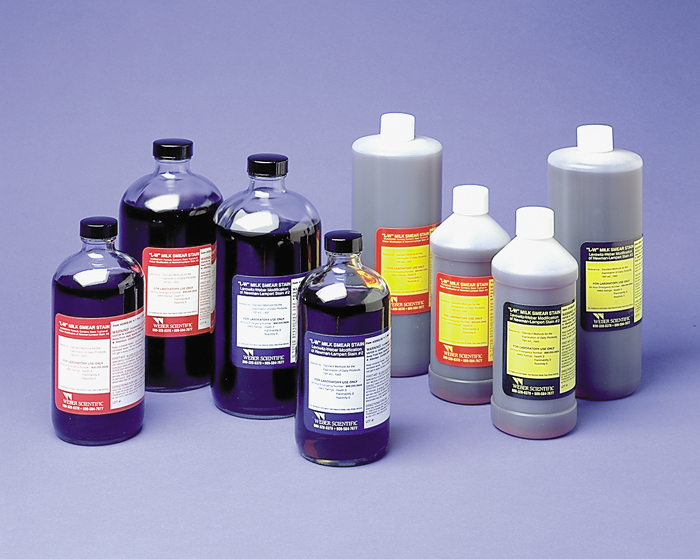 The stain is made in four formulations: Regular tetrachloroethane or xylene, and Canadian tetrachloroethane or xylene. There are several differences. Both contain certified methylene blue dye while the Canadian stain contains some red basic fuchsia dye which gives the smear a pinkish background. Use is fairly evenly split between the two based upon user preference. The xylene stain is generally recommended since it’s somewhat less toxic than tetrachloroethane. 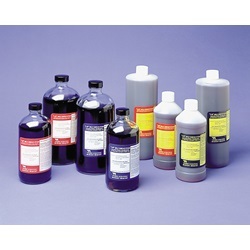 Based upon transportation regulations the tetrachloroethane based stains have quantity limitations of no more than one quart and no more than two pints per shipping box, specially designed for this particular hazardous material. 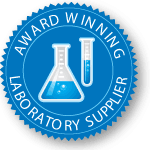 Please be aware that for the tetrachloroethane stain only there is a hazmat packaging fee per shipping box in additional to any other required hazmat shipping charges that may apply.